Chalk for the Home: a 4-part seasonal chalk series. Rose Cottage is in full Bloom! Based on the Chalk art of Priscilla Blain – these designs are a wonderful way to celebrate each season! 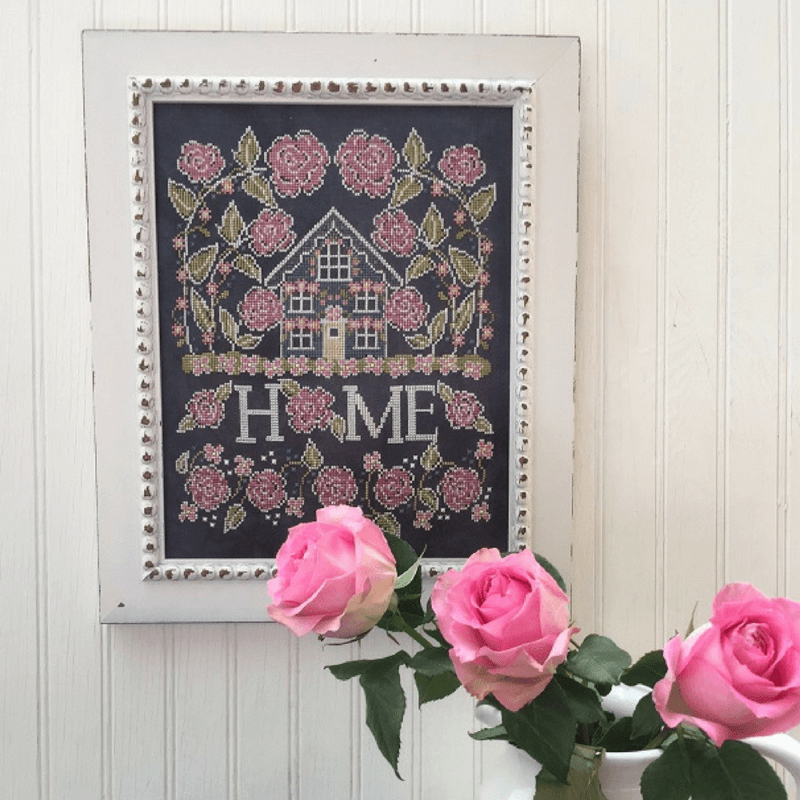 Each large chart will contain designs for a HOME sampler & a seasonal small to decorate your chalk home.